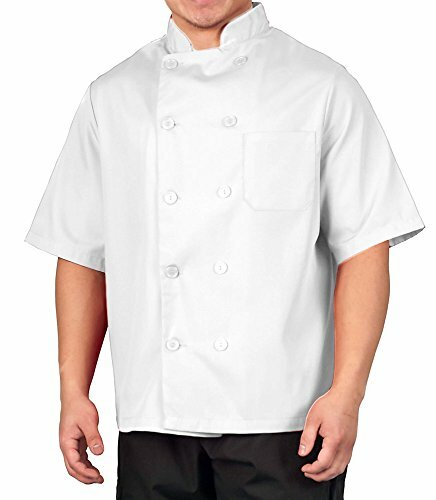 Our lightweight 6oz long sleeve chef coat in easy-care and durable spun poly looks, breathes and has the soft feel of pure cotton. Stain resistant, non-fading and stands up to laundering time after time. No ironing or shrinking gives you hassle-free care. Available in Red, Black, and White.